Hi everyone! I am over the moon excited to share a BIG announcement with you all today! 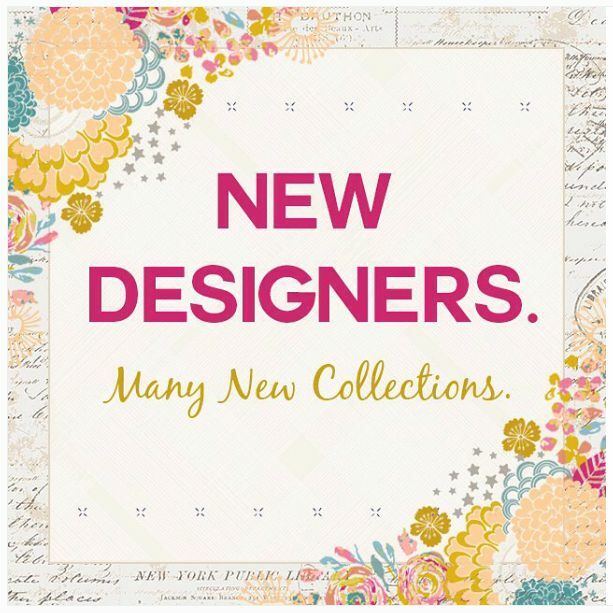 That's right, today Art Gallery Fabrics' welcomed me as their newest full collection licensed designer!! 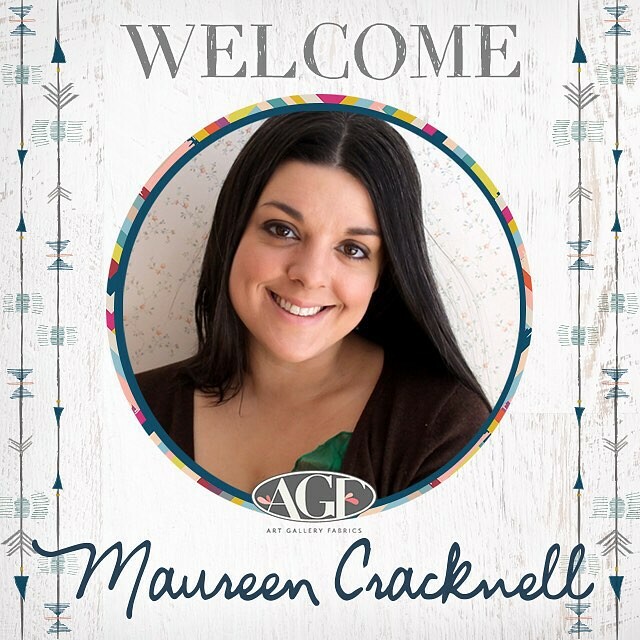 To be able to design fabrics for my absolute favorite fabric manufacturing company and to be a member of the AGF family, along with such an amazing group of fellow designers, is such a dream come true! I can't begin to find the words to tell you ~ soooo many happy tears!! Now that the secret is out, Art Gallery Fabrics is sharing some details on their blog today so, be sure to stop by to join in our excitement!! I can't wait to be able to share this new collection with all of you! AGF gave a little sneak peek of both my new fabrics and their newest Limited Edition designer, Amy Sinibaldi's fabrics (eeeek! I ♡ her so much!) when they shared this image the other day! 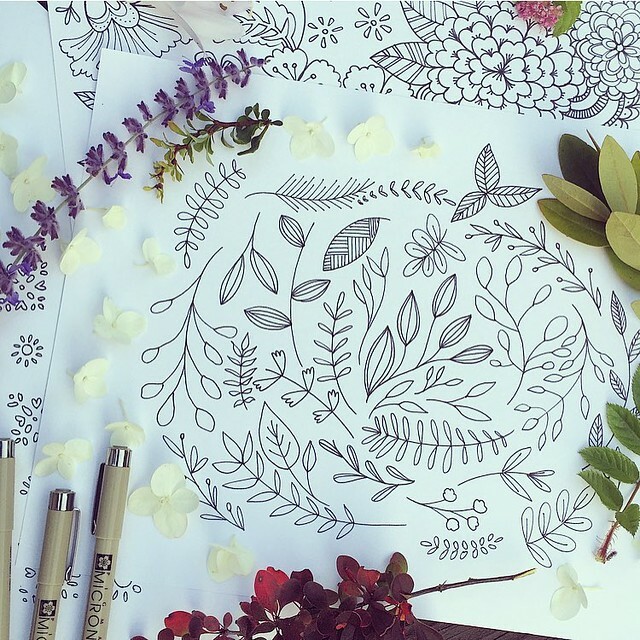 And, I gave a first look at some of my fabric sketches on my Instagram the other day, did you see? How many of you guessed this was coming? Having to keep such exciting secrets is so very difficult for me, and there's still more to come!! Congratulations...you must be over the moon!! Oh, Maureen, I couldn't be more thrilled for you!! 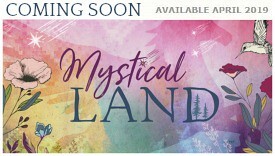 I can hardly wait to see it!!! You AND Amy, WTG Art Gallery! I'm not surprised at all! You are so talented, and Art Gallery has such beautiful fabrics. I can't wait to see your new collection. Congrats!! Mazeltov! I love Wild & Free. Can't wait to see your next line. You're a perfect fit for Art Gallery Fabrics. I'm so excited for you and can't wait to see your lines. Congrats! Can't wait to see your new collection. You are a talented young lady with a good eye. Looking forward to seeing more of your great designs! Congrats! That is so awesome - congrats!!! I am so very happy for you! I can't wait to see it! Yay!!! I'm so happy for you!!! Congrats that's really great news! Over the moon with you Maureen! Of course I saw this coming, you are uber talented! woo-hoo! Congratulations! So exciting for you and for US, too! You are a lovely young woman and so talented! I am hoarding my fat quarters of the "Wild and Free" collection and I hope your new things will harmonize. I'm with you, I love Art Gallery Fabrics and am happy to see them online, as our local quilt shops don't carry much selection. Thanks again. Beautiful fabric...and a big CONGRATULATIONS to you! Congratulations…so happy for you :o) Look forward to seeing your new collection!!! How wonderful, Congratulations! Can't wait to see your collection. Congrats!! I know your collection will be beautiful. How wonderful. Congratulations. You worked hard for this. I am looking forward to seeing you first AGF fabric line. Congratulations!! This makes us sort of kinfolk, right? We won't see you at market in October, but, hopefully in the Spring! Congratulations!! This is awesome. I'm sure you are on cloud nine. Love the sneak peak of the new line. You sketched a beautiful sewing machine last year. That needs to work it's way onto one of your fabrics. Hint, hint! It would be lovely to embroider and embellish. I'm so excited to see more of your work, can't wait!